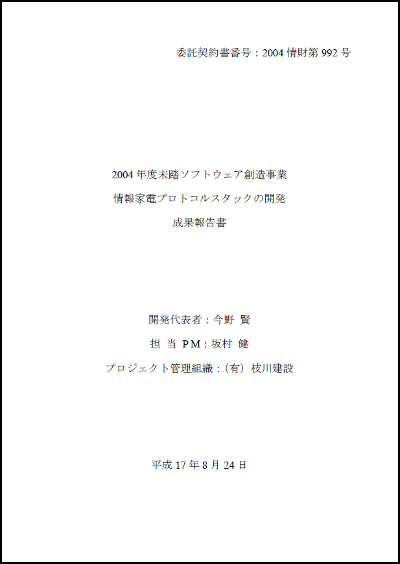 Exploratory IT Human Resources Project (The MITOH Program) in 2004. 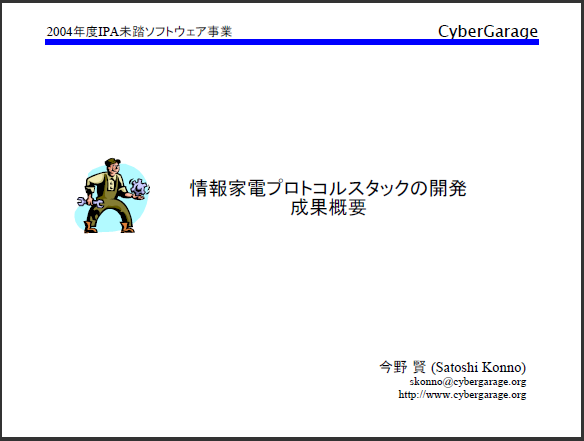 I have developed CyberLinkForC with the support of IPA Exploratory IT Human Resources Project in Japan. In the project, I have ported mUPnP for C++ and mUPnP for C some Japanese embedded platforms such as T-Engine and μITRON. The my project manager was Prof. Dr. Ken Sakamura, he is the creator of the real-time operating system architecture TRON and T-Engine.